Ron LeValley - Ron is a biologist who has been enamored with photography and wildlife for the past 45 years. He specializes in wildlife photographs of all kinds, from whales and birds to insects and natural scenes. Ron has compiled an impressive collection (over 70,000 images) of nature photographs that he uses for presentations and publications. 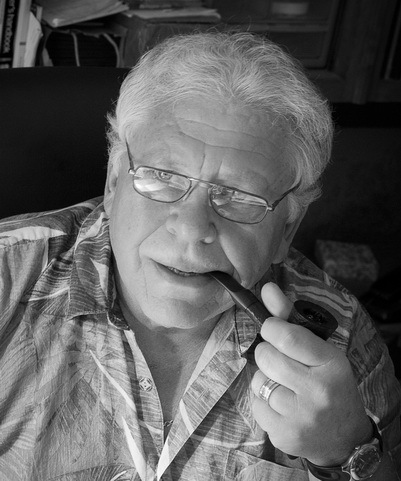 Ron's photography started with film back in the 1960's and has evolved with the digital technology of today. Ron gathered a world-wide perspective on ecological issues when he founded and for 15 years directed Biological Journeys, a pioneering ecotourism company. One of Ron's outstanding attributes is sharing his knowledge and enthusiasm with others. Ron is a founding member of the Mendocino Coast Photographer Guild and Gallery, where his work can be seen. He also shows at the G2 Gallery in Venice California and at various shows around Northern California. Ron graduated from Sacramento State College in 1969 with a B.A. degree in Biology and received his M.A in Biology from Humboldt State University in 1980. 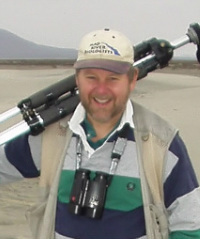 His affiliations include American Ornithologists Union (Life Member), The Pacific Seabird Group, National Audubon Society, Point Reyes Bird Observatory (Life Member), and Western Field Ornithologis. Ken Van Der Wende - Ken has lived and worked on the beautiful Mendocino Coast for 36 years. His work has been shown at the Mendocino Art Center, North Coast Artists Gallery, 3g Gallery and the Edgewater Gallery. He is a full partner in the Mendocino Coast Photographer Gallery. Ken says: "In 2005 I discovered digital photography and my passion for photography was renewed. My focus has since become improving my photography skills. I am always looking for the perfect light and unique perspective to produce that “perfect photograph”. I believe that to be a good photographer it must be your passion. Sports such as sailing, kayaking, hiking and mountain biking reflect my love for nature, which has manifested in my choice of subject matter. My main focus has been on the spectacular vistas of California’s North Coast and its rivers and redwood forests. I also love to shoot the Eastern Sierra and Yosemite, as well as the beautiful landscapes of Arizona, Utah, and Nevada." Nicholas Wilson - Nick became a professional photographer soon after moving to the Mendocino Coast in 1970, inspired by the natural beauty and interesting people. His work has been published widely in magazines, newspapers, books, and films, including the New York Times, Fine Woodworking, most metropolitan California newspapers and Germany's Stern magazine. His photo book, Mendocino In The Seventies, quickly sold out a limited first edition a week after publication in 2006, and still sells through local bookstores, on Amazon, and in our gallery. He has had numerous one-person photo exhibits, and was the only photographer represented by Mendocino's first art gallery, the Zacha Bay-Window Gallery, operated by Mendocino Art Center founder Bill Zacha. Nick says: "I'm a documentary photographer and photojournalist, making a historical record of places and events, as well as capturing the spectacular scenery of the Mendocino Coast. I am official photographer for the Mendocino Music Festival and cover other local and regional events. I grew up in Brownsville, Texas where the Rio Grande meets the Gulf Coast, graduated from the University of Texas at Austin, then moved to the Bay Area and onward to Mendocino in 1970. I live in the country near Little River." John Birchard - As a professional photographer living on the Mendocino Coast of Northern California for over 20 years, I have worked to develop a wide range of expertise and services. I consider landscape and nature photography to be my true artistic calling, and I love chasing the golden light, trying to capture the wild beauty of the North Coast and other parts of the world. The beauty and remoteness of Mendocino are both a challenge and an inspiration. I rely on my years of experience and the latest in digital technologies to create professional quality commercial imagery for print and the world wide web. I am also available to document the joy and fun of weddings or to capture beautiful and lasting portraits of individuals or groups. I also offer a wide variety of stock images covering nature, recreation, wildlife, travel, and important issues. These images can be downloaded in web and print sizes for licensing to communication professionals, or for personal use. My goal is always to exceed your expectations and provide quality personal service backed up with the integrity of my name. I show my nature images in The Mendocino Coast Photographer Gallery in Fort Bragg, the Highlight Gallery in Mendocino, the John Hanes Gallery in Boonville, and in my own gallery in the spa building at the Little River Inn. Jon Klein -Jon Klein grew up in the hills outside of Willits, CA, living with his parents, siblings and pets in various ramshackle cabins, tents, and an old white school bus that had two Volkswagen van bodies welded to the top to make an extra floor. He completely neglected to attend school, and when not busy helping his parents with farm work, he spent his time roaming the woods trying to photograph wild animals. As an adult he realized that only pot growers and people with government jobs could afford to live in Willits, so he move to the coast where it’s about the same situation but at least it’s not so damn hot in the summer. Now working full time as a wildlife and seascape photographer, Jon Klein is married and lives with his wife in a house near Fort Bragg, CA.